A chocolatey union of Peanut Butter and a creamy Cheesecake. Wow. I used to order juice from a company name Bombies when vaping was just really getting started. The guy running the company made a juice called “a real nightmare” and it was by far my favorite. It was a beautiful and strong flavor, I couldn’t figure out what was in it. This flavor isn’t exactly the same, but it has a similar flavor and I like it a lot. Bombies has long since stopped producing it, and this is certainly close enough for me. Good flavor but as another reviewer said, I get a strong cookie flavor instead of cheesecake. When I smell it in the bottle I smell peanut butter, but vaping it I feel there is a more chocolate flavor. Still, it is an enjoyable sweet flavor and I like it. Would probably repurchase. The flavor testers in-shop do no justice for this flavor… Wishing I hadn’t avoided this one for so long. People near me often say “what smells like chocolate chip cookies?” after I blow a cloud. It’s smooth with a hint of chocolate after taste unlike creamy nut where it’s kinda like getting dry mouth and I need to run to the fridge and get a beer to wash it down. Pretty good flavor. It kinda taste more like a coffee taste. The sweeter in the batch I had was very strong . I didn’t really taste the peanut butter or the cheesecake. Maybe juice got mixed up? Not sure. 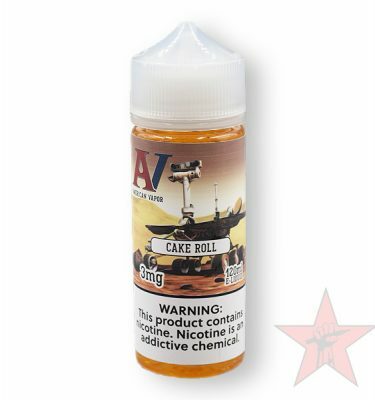 But if you like really sweet vape juice and coffee this is the one for you. I really enjoyed this juice creamy and delightful. If you’re already a fan of the nutty flavors, the Peanut Butter Cheesecake juice is a relatively decent choice. It’s not bad; very similar to Creamy Nut, though perhaps a bit more mild. There’s definitely more “peanut butter” than “cheesecake” here, FYI. If you want to enhance the “cheesecake” taste, I recommend adding a drop or two of Sugar Cub or Echo into the tank with this one. Awesome flavor. It does not not last long in a semi burnt coil like most dark juices but still great for a all day vape. I ordered a second larger bottle of this after ordering the smallest I could. I order the small bottle in case I dont like it. For me, it is definitely a keeper. I like nutty flavors and I’m not a fan of fruity flavors so this fit the bill.